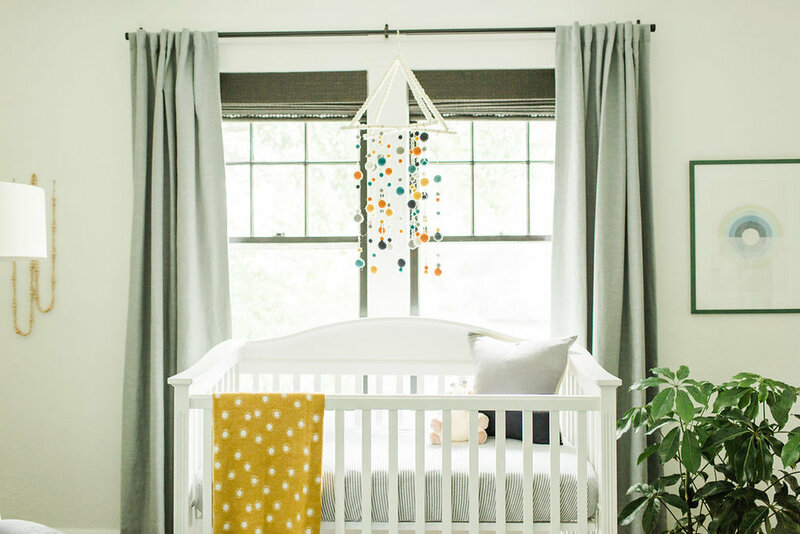 Lastly, we layered in the final details: a custom lumbar pillow with golden tassels, a pom pom mobile in saturated hues, a simple strand of wooden beads, baskets, bed linens, and plants! If you ever ask yourself, what is this room missing? The answer is always a plant. Lucky for us, Greenville has several great local plant stores who are willing to answer any questions you might have: Savereign in the Village of West Greenville, Urban Digs on the east side, and Roots on Augusta Road.